3D scanning is an advanced and amazing technology for capturing real-world objects in three-dimensions. Architectures, designers, and engineers are using it to scan a building, bridge, historical monument, and even small objects to collect digital data for reverse engineering and rapid prototyping. With advanced 3D scanners based on contact and non-contact technology, services of 3D scanning in Melbourne is helping industries in making changes in existing designs as well as new products. There are intense applications of 3D scanning services in different types of industries. 3D scanning is basically carried out to capture real-world objects, be they indoor or outdoor, exactly as per their shapes, sizes, and appearances. The captured data is used for creating a digital representation of three-dimensional model. This model can be used for making animation, design changes or new product. 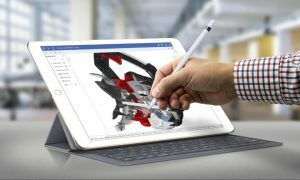 So, with wide usage of 3D scanning for various projects, it has become a wise step to avail CAD outsourcing services from a reputed engineering firm. The 3D scanning process starts by placing the object to be scanned on the bed of the digitizer. A laser is then directed by the software over the object’s surface to capture its geometries. While the light rays are busy scanning, two sensor cameras mounted in the scanner record the distance, shape, and size in X, Y, Z dimensions as the scanner moves at 360 degrees. Another way of collecting 3D data is by touching the scanner to the surface of the object. 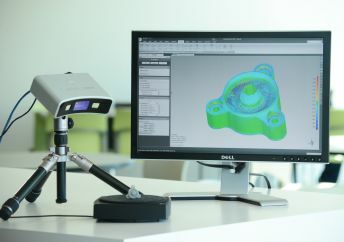 The hand-held 3D scanner may have a pointed or rounded probe that is moved over various points of the object. In both the contact and non-contact scanning, detailed information about the object is collected in millions as a point cloud. The point cloud data that appears on the computer screen is registered and merged to form three-dimension representation of the object. The merged file is then post-processed depending of the intended application. It could be used for inspection and matching with 3D CAD drawing. The result is then processed in PDF format with pictorial description stating the variations between scanned data and CAD data. The point cloud data can also be converted to CAD for reverse engineering. 3D laser scanning is the fastest, accurate, and automated method of collecting 3D digital data for rapid prototyping and reverse engineering. If a 3D scanner is not within your reach, contact Zeal Cad for 3D scanning of your project. They are the most talented bunch of techies I have seen in Australia for 3D scanning services. You can even contact us for PDF to cad conversion or simply upload the file on our portal.